Let us restore the beauty of your paver features and amenities by hiring our paver restoration services today. We have been the go-to company of most property owners from Delaware County, Montgomery County, Chester County, The Mainline, Southern New Jersey and Northern Delaware, and surrounding areas because of our professional, fast, and quality services. Call us now at 610-459-3466 so we can create the perfect paver restoration plan for your paver structures. We can work on any type of pavers, so you can expect outstanding results once we're done with the restoration task. Our systematic procedures and in-depth knowledge of the unique characteristics of each paver type are just some of the reasons why we can guarantee outstanding results. In fact, we can complete a repair or restoration job within the day because of our efficient methods and skilled personnel. This capability has made us popular among homeowners and commercial property owners. When you hire us to work on your paver features, we will ensure that our crews will perform all the necessary procedures according to industry standards. We will never take shortcuts just to stick to our promise that we can complete the paver restoration job in one day. At Clean My Pavers, we can work on all kinds of paver features, like driveways, patios, decks, courtyards, walkways, parking lots, and other paved outdoor areas. We have restored the functionality of numerous driveways and pathways in commercial areas, as well as the beauty of paver patios in several residential properties. Our repair and restoration jobs usually include replacement of damaged or broken pavers, pressure washing, and dirt and stain removal, joint sanding, and paver sealing. Our crews can also work on paved areas affected by the installation of utilities or new structures inside our clients’ properties. We can likewise perform other maintenance tasks, depending on the needs of the specific area that we are working on. To ensure a successful paver restoration job, we use only premium materials and task-appropriate tools. 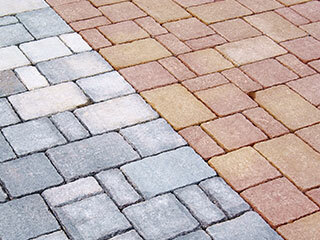 We use quality pavers when replacing damaged units and high-grade sealers when performing a paver sealing job. We also have pressure washers, cleaners, and other tools to perform our job efficiently and complete it at a faster pace. This is aside from the extensive experience of our crews in restoring various paver amenities in residential, commercial, and public areas. We are also experts in the repair and restoration of different types of pavers. We know what techniques and approaches to use when working on surfaces made of bricks, concrete, or natural stone pavers. Pavers have different characteristics, so we are very careful when working on each paver type. One of the reasons why most property owners rely on us is our ability to bring back the beauty and functionality of their paver features at affordable rates. We never overcharge clients just to earn more. Instead, we always provide them with top-notch service even if the job involves a simple restoration task, such as cleaning a paver driveway or sealing a patio. You, too, can also have a clean, safe, and stunning outdoor area by hiring paver restoration experts. Dial 610-459-3466 today and we will get you started!